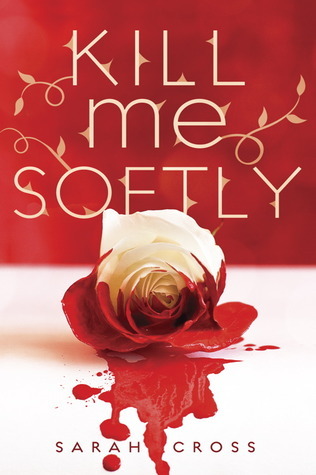 To go along with her guest post (which also went up today), Sarah has graciously offered up one signed hardcover of Kill Me Softly! I cannot wait to read this one myself (I so very much wish I could have read it for this year's FTF! ), so I'm super happy to be sharing the chance to read it with you lovely folks. To enter*, leave a comment with the your favorite fairy tale. And it would be awesome if you left Sarah some love on her guest post! I HAVE BEEN LUSTING AFTER THIS BOOK SOOOOOOOOOOOOOOOOO MUCH!!!!!!! Seriously. I stare at it every day on Amazon and think to myself "Surely your savings plan wouldn't be too hurt if you just bought this one little book..." *looks at savings plan which is already $200 behind schedule* "Surely not..." And alas. I have not bought it. So I REALLY hope I win. Anyway. Favorite fairy tale? Hm... tough choice... I'm a big fan of Maid Maleen and Goose Girl. Especially Goose Girl because it actually has a happy ending (well, if you arent the evil servant). Favorite fairy tale? SOOOOO hard to pick!!! Hmm...I really loved Little Red Riding hood as a kid, so I'm going with that one for now. left comment at Sarah's guest post. I can't just pick a favorite fairy tale! Well...I guess...if I have to...Beauty and the Beast! Thanks for the giveaway! I've been lusting after this one for a while. I. Need. To. Read. This. NOW!!! Seriously! Cannot wait for this book to be released! Everything about it just screams to me! My favorite fairy tale... Snow White, Little Red, Goose Girl... and not the Disney version to them, lol! Favorite fairy tale: The Goose Girl. Most amused by: Cinderella, the Grimm version. Seriously, I laugh hysterically when I read the end of the story, which makes me feel like a psychopath, but oh well. How is it not funny that the evil stepsisters get their eyes pecked out by Cinderella's bird friends on the way up and down the aisle at her wedding! What is that? Kill Me Softly sounds so good! I've really want to read this book! Yeah, that's a strange one, right? OMG! I am dying to read this book. The cover is gorgeous and I've read so many reviews for this book. I'm off to comment on the other post. My fave fairy tale is Sleeping Beauty or Snow White... both are in the running for fave. My favorite fairy tale as a child was Hansel and Gretel, although I'm not sure what my favorite is now. Although if Rapunzel's story was actually anything like the movie Tangled, then I might choose that, as Tangled is awesome. But the original is pretty different! I'm really looking forward to this one, glad you're promoting it here. My favorite fairy tale is East of the Sun, West of the Moon. I love little red riding hood. Even more after seeing ONce Upon A time's take on Red! Thanks so much for the giveaway!! My favorite fairytale is Peter Pan! Thanks for the great giveaway. I've always loved Beauty and the Beast. My favorite faerytale is Cinderella. Thanks for the awesome giveaway. This book sounds amazing. Looking at this book makes me want to pee my self with excitement! My favorite fairy tale is Snow White. This book sounds great! My favorite fairy tale since I was a little girl is Snow White & Rose Red. Thank you for the great giveaway! I always like 12 dancing Princesses and Princess and the pea. Can't pick a favorite between the two. My favorite fairy tale might be Rumpelstiltskin, or maybe I just like the name. My favorite fairytale is The Maiden Without Hands. It's the same archetype as East o' the Sun, West o' the Moon and other heroin quest tales. My favorite fairytale would have to be Hanzle and Gretel! It is my all time favorite! I'm just dying to get my hands on this book!!! My favorite fairy tale is Snow White and the Seven Dwarfs. Thanks for the giveaway! I'd seen this book around, but I can't believe I didn't realize it had to do with fairy tales! My favorite fairytale is the Seven Swans. My favorite fairytale is Sleeping Beauty. I love that the prince fights a dragon for her! My favorite fairy tale is Little Red Riding Hood, the original one not the disney-fied one. I love Beauty and the Beast. Please enter me in contest. I really want to read this book. I love Little Mermaid (even the original one) :-) Thanks! Although it's hard to narrow down to just one, my favorite fairy tale would have to be The Twelve Dancing Princesses! My favorite fairy tale growing up was Sleeping Beauty, the Disney version - probably because there was a horse and a dragon involved. Now, I'm not so sure, especially since I know how dark most fairy tales actually are! I am weirdly fond of The Juniper Tree though, even though it's pretty messed up. Haha. I'm still a sucker for Cinderella! I've always loved Beauty and the Beast growing up and don't think I'll ever tire of it. my favorite fairytale has to be Cinderella........why not?? she gets her PrinceCharming at the end!! LOL!!! Sarah: many congrats & continued success!! I think I'll have to go with Hansel & Gretel for my favorite fairy tale for a variety of reasons. 1) The original book has the word cooky in it. No, I didn't misspell it. 2) It doesn't get the attention it deserves. I have been reading a lot of good things about this. Looking forward to reading it. My favorite is Cinderella. Not sure if this is a fairy tale but I've always LOVED Sword in the Stone. :) Thanks for the giveaway!! My favorite has always been Cinderella. The happily ever after always appeals to me, especially when someone finally gets there after such a horrific childhood. Don't we all wish for that one moment that completely changes our lives in the best possible way? Thank you for the fun giveaway, I've had my eye on this book. It looks awesome! I am dying to read this book :) My favorite tale is Cinderella! My favorite fairytale is probably The Little Mermaid! Probably because I've always wanted to be a mermaid, haha. My favorite fairy tale is the little mermaid. Mostly because I wanted to be her and now as a adult I'm more interested in the darker side of the mermaid! My favorite fairy tale is the 12 dancing princesses. There have been so many wonderful retelling of this story and I love all of them!!! My favorite fairy tale is the Little Mermaid. I can remember reading Grimm's Fairytales and being sooo creeped out reading the Little Mermaid, but I couldn't help myself so I read it constantly. My favourite fairy tale is East of the Sun, West of the Moon. I think it would have to be Cinderella. The disney and grimm one. My favorite fairy tale as a child was the Princess and the Pea. Nowadays, I can't decide lol. My favorite fairytale is hard to say since I like so many, but I'll go with Rumpelstiltskin. The 12 Dancing Princesses is my favorite. Wildwood Dancing and Entwined are my favorite re-tellings. My favorite fairy tale is Beauty and The Beast! Thanks for the giveaway! My favorite would have to be the Princess and the Pea!